As a symbol of Roawia, Duke Nervig gave a gift of the corner stone of Mikithdar. Kroth was reminded of everyone that was searching for the sword of King Karlamac and that the last person to have known to possess it was Duke Nervig. Kroth and his squire headed back to Havenhill. 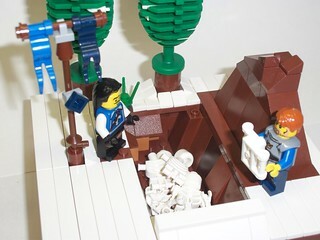 After making sure that Havenhill was secure and that the dwarfs would be respectfully put to rest, he packed up a tribute share of the treasury for Jhirian Eindrik as well as the head of the serpent and decided to head to Mikithdar to present his treasure to the leader of his Province. 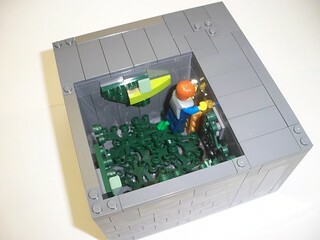 After an uneventful journey to Mikithdar Kroth secured his possessions in Jhirian Eindrik’s keep and since he was not due for an audience until the next day, Kroth and decided to see if he could find the corner stone of Mikithdar. After wandering the city perimeter for much of the afternoon and talking with residents of that part of the city, they were able to find portion of the city that the architects were going to be working which then lead them to find a long sealed over entrance to the understructure of the city. The pair returned after dusk, opened the hatch and Lanseril lowered Kroth into the tunnel. After clearing away some of the slime and growth that had grown down there Kroth found a sword that was inside a golden case. Kroth pulled the sword from the case and seemed that even in this dim light that the blade was true and still sharp. Kroth climbed out of the hole and now had to decide which story to lead with when he spoke with Jhirian Eindrik. Any comments, suggestions and/or criticism are welcome.